We will begin accepting nominations of those interested in becoming a VFW Post Officer for 2019 -2020 fiscal year. This will occur in our upcoming general meeting on March 12th, 2019 at 7 pm. Please consider becoming more involved, cause the strength and success of our post depends on people willing to commit to taking an active role in the decisions and making suggestions affecting the good of the post. 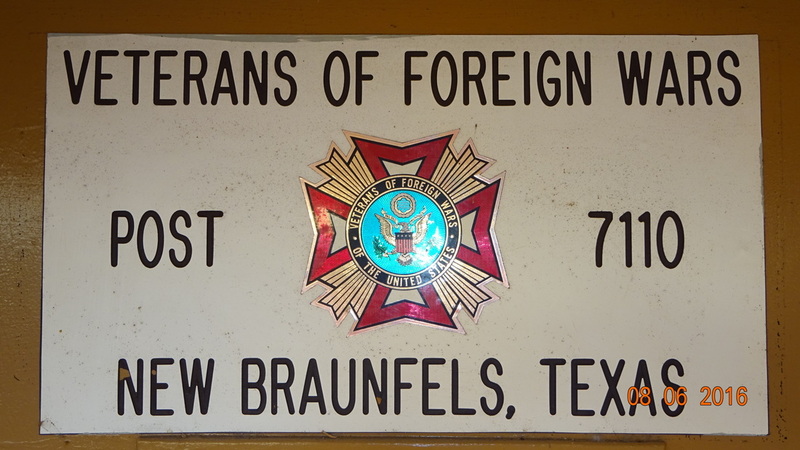 Post Awareness for VFW Post and Auxiliary Members, to have family or friends to notify our post at 830-625-9961 or contact the Post Commander at 830-499-4644 if you are admitted to a medical facility or may need some type of assistance. Please be sure to leave a message, if no answer. Those VFW Members, who pay their dues on a yearly basis, please pay your dues so you can continue your membership in our organization. Your membership is valuable to us as we strive to leave no veteran behind. I want to encourage everyone to recruit at least one new member this month or get an expired member to renew their membership. We are 8 members from reaching 100%, I am certain that we will achieve this goal by end of April. Please view our post website (www.vfwpost7110.com) for upcoming events, or contact the Commander at (vfwpost7110@gmail.com) . 1-800-273-8255 - Then Press "1"